Alan Bracken- High Performance Mindesets. Engaged Teams Result From Intentional LeadersIt is no secret that engaged teams are happier, more productive, and more profitable. However, Alan understands how hard it is to build successful teams. He faced this challenge again and again during his twenty years of award-winning success in the construction industry. This has equipped him to guide other leaders through the difficult process of building productive, profitable teams. Host Matt and Brad Smith were excited to introduce Alan given his prior success building a company and then selling that company for millions of dollars, all starting at the age of 19. He then spent a decade traveling the world with one of the worlds most influential leadership experts, John Maxwell. 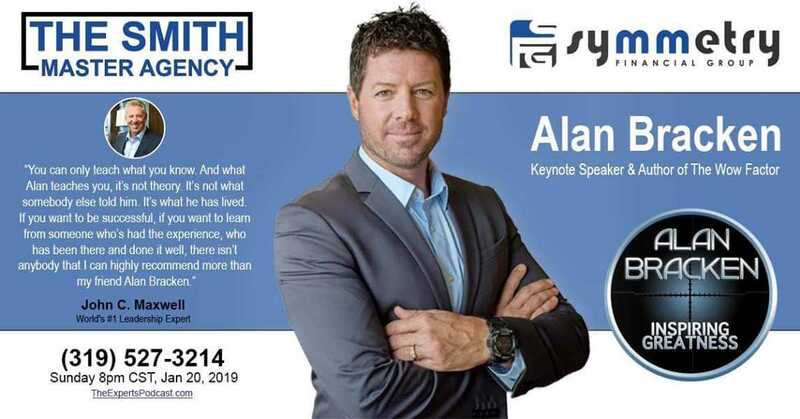 Alan Bracken has since written a best-selling book, The Wow Factor, and is now an entrepreneur to his own style of thrill-seeking based leadership development. Alan Bracken’s journey started intentionally by his desire to be more and find a path that would allow him to provide and grow a successful business. The old adage of I knew a guy, who knew a guy, paid off for Alan because it was that guy who believed in him when he didn’t believe in himself. That was the beginning of Alan’s journey into leadership development. From 1999 to today, life has been filled with really high highs, and very low’s for Alan and his family. It is through those experiences that he was able to grow into the genuinely strong person of today. “When we can cope with the lows better when we learn and become better versions of ourselves. ” The key is to commit to be your best and commit to intentional personal growth, no matter what level you are currently at. Personal growth and continual learning are what keeps the mind sharp. Its what you learn after you know it all that counts. It is important to understand, there is always more to learn. Alan’s privilege of spending time with great leaders has kept him striving to learn more personally and share that knowledge and desire with others. This is where he developed the 12-month personal growth program, High-Performance Mindset. The deliberate pursuit of being your best, regardless of your circumstances. You have to be intentional about it, a great mindset isn’t going to just happen, it has to be pursued. We have the choice and ability to change only us, not anyone else. Circumstances will change and create difficulty in our lives, and these three things can help you get past these times; thoughts, attitudes, and perceptions. Great intentions, dreams, and goals without a plan, they are only dreams that don’t move us forward. We have to have is a plan. Starting with our thoughts. How we think about our thoughts is what will project us into the right choices. Alan’s journey made the fear and anxiety of success a learning and growth process, not a destination. One kind of thought we have is a tormenting thought. “I’m not worthy”, “I’ve never done that”. They are thoughts that don’t move you in the direction you need to go. The tormenting thoughts have to be replaced with replacement thoughts, or freeing thoughts. Thinking about the truth and investments in yourself and the people around you. The freeing thoughts will produce the attitude we need to be successful. We will believe our thoughts and therefore manifest their effects. Attitude is the expression of internal conflict. A good attitude is how we model the way of others to follow your leadership. The attitude then creates perceptions. Perceptions of yourself are driven by your attitude and self-worth. People with low self-esteem and image damage others around them. Perception is the state of being aware. A strong healthy team is very important to have a positive attitude. What what you think about and project on others. The plan for a high-performance mindset is to start with your attitude and allow that positive to develop through the challenges and storms of life. When we commit to that, we will go further and be the best version of ourselves. What could be damaged by you being struck in complacency?